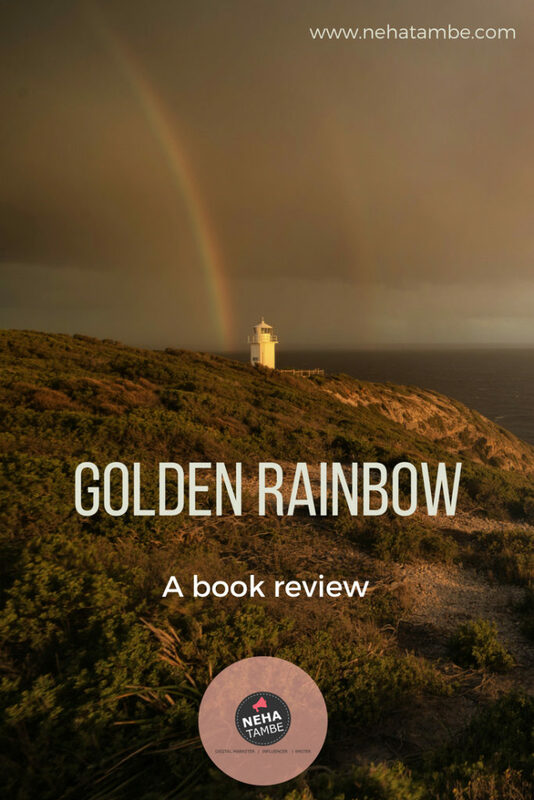 Golden Rainbow is a lovely bouquet of these neighborhood stories woven together and presented through the author’s eyes. Growing up in India in the 90’s having such memorable characters as neighbors, friends, relatives was common. Not just the people who lived around you but even the people who lived on the roads near you left a lasting impression on your mind and that is what Balaka’s book brings to fore. These stories aren’t grand and high on emotion and drama but are heart-tugging and will certainly make you nostalgic. These are slices of life that make you laugh, cry, wonder and even leave you speechless at times. It will take you down the memory lane and remind you of that funny neighbor or a silent guardian. The book is something that everyone from my generation would relate with. The Golden Rainbow is a collection of short stories, mostly from the city of Kolkata. Reading the collection of memories I realized what my children will probably never experience and how fortunate we were to enjoy the warmth, worry or even sarcasm from these extended relations that were not related by blood but by karma or experiences. Today with the prevalent flat culture and higher migrating population, we probably don’t make such lasting relations with anyone. If you have loved serials like Wagale ki Duniya or you are familiar with Marathi literature and have loved Pu La Deshpande, you will enjoy reading these stories. They give you a glimpse of Kolkata, the neighborhood and the most important thing that emits from these stories are tales of humanities. These stories will show the 50 shades of human emotions, but it will remind you with greater force that kindness and goodness in people is prevalent all we need to do is change our perspective. Definitely recommend this quick breeze read on a weekend. Since I have read a lot of PL Deshpande, I am sure now that I will like this one. Thanks for that honest review. I like the posts of Balaka. And thanks much for this review. Will read it for sure. I agree with you , our childhood was much different from now’s and our kids are not exposed to the warmth we have been to. I would love to get a copy. You are right, those days were different and special. Unfortunately our kids dont get to experience such warmth and special moments. I have heard a few of Pu La Deshpande’s kathakathan and read few books as well. This book looks like a variety of tales woven together to leave an impact on readers. I agree nuclear families and migration has changed so much that atleast our kids won’t face that sarcasm from extended relations. I lived in joint family for atleast a decade and still remember remarks or negative impact left on my childhood. Great read! Liked this review, sounds a harsh truth that our kids won’t be able to experience that bonding with extended family or even neighbours. This sounds quite nice. Worth checking out. I loved reading Golden Rainbow by Balaka. All the stories give insight into human character and evoke strong emotions that keep the reader engrossed in the story. And that they have unexpected endings is another amazing thing about all thee stories! Wow! This sounds like a great book to read. The review was so interesting and an eye-opener. I will absolutely check this out. Every decade has its own charm and 90’s was no different. I love to cherish that time. I would love to read this book and relate to my memories. This looks like a great book to grab for a weekend read like you said. A collection of short stories in ‘Golden Rainbow’ is a lovely compilation of neighborhood stories, woven together and presented by author Balka Basu in her own style. This Golden menories seem to be a must read.Loved the review .I nwed to download this one. The book seems interesting. I am quite keen on reading good short stories these days and while I have a few on my TBR, I can add this one to that. There’s no doubt that our kids are gonna miss out on some wonderful moments we shared with our neighbours. I loved the 90’s and this book is going to be make me nostalgic. The title is oxymoronic but I love your honest review of the book. I feel things have changed a lot over the years and how free our childhood was as compared to kids of today. Seems like a beautiful read. Short stories are so me these days with an active toddler.. I havnt read any Marathi Literature. But would love to read this book. Thanks for recommending. Balaka’s writing is beautiful… I can understand how emotional and relatable her stories can be, written with such finesse. Great review . Been long since I read anything.. this looks like a great read. Bookmarking it. Hi Neha, Thanks for this beautiful review. I am overwhelmed to read the comments as well. Thanks a ton. 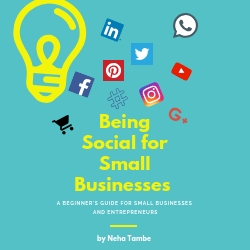 The book is now available on Amazon. Neighbourhood stories and that too 90’s sounds very familiar. Surely will try and read it soon.